For those that loved this batwing-sleeve style dress, the dress is available on sale on the UK site. Also catch our latest post on FCUK India Here. 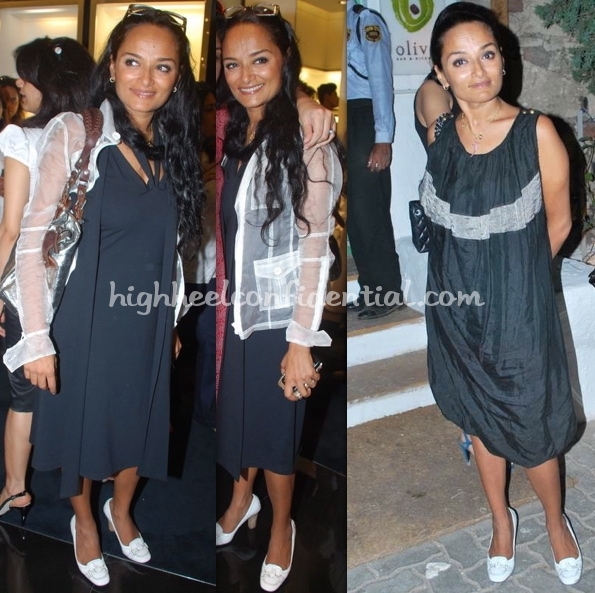 Spotted Bandana Tiwari doing ‘Black and White’ at two consecutive events… prefer one over another? Just for a moment lets get past the mediocre (and sort of ill-fitting) dress and appreciate the fact that Divya finally moved past all that is strapless… Yay! We still have hopes for this one, we do! First, it was a red dress paired with the gold Gancio. Then came the black dress paired with the Choo clutch. Both times, a dress that played with the ‘drape’ concept… Have a preference for one? Barring the strange blonde/honey highlights in her hair (that comes through in some pictures), we love her in black! 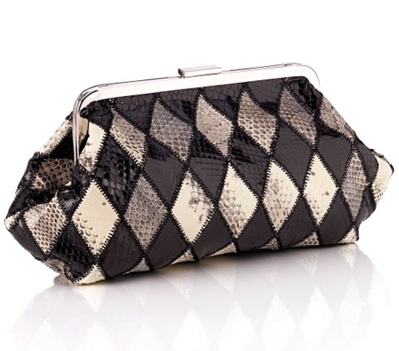 Spotted Avanti Birla with the Dolce And Gabbana Harlequin Snakeskin Clutch at a recent store launch… While we like how the harlequin print stands out against the black dress, hate the shoes! One thing thats worse than super pointy shoes…? Toe cleavage in super pointy shoes!! Total dampener on an otherwise great look on her. P.S: We get asked all the time- are all pointy pumps bad? Nope, we love our closed-toe pointy pumps… Its the shoes where the snout seems over extended and long, those are the ones we hate!